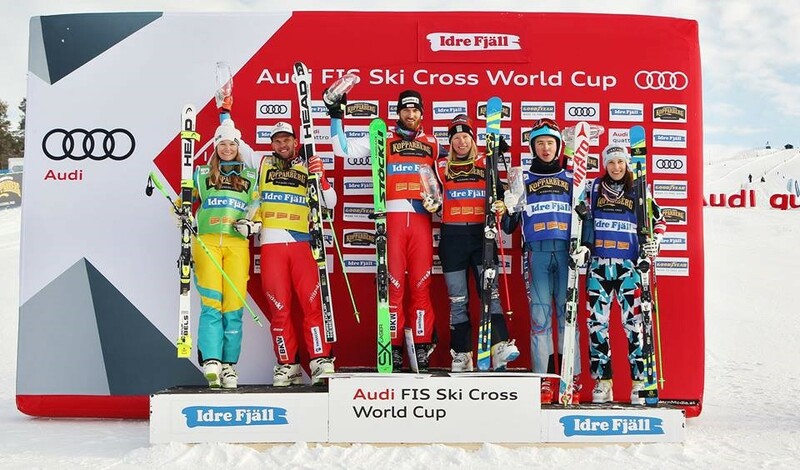 Page header shows our skiers who competed at the 2014 Winter Olympics; (left to right) Scott Kneller, Sam Wells, Sami Kennedy-Sim & Jenny Owens. Sam Wells and Sami Kennedy-Sim competed at 2018 Winter Olympic Games at PyeongChang in South Korea. For 2018/19 season SASC and the Lodge Cooperative have provided support to Sami Kennedy-Sim and Theo Coates. SASC member for 7 years. 2018 finished 8th in Ladies Ski Cross at the Olympic Games. 2018 finished 10th place overall World Cup ranking. Sami competed for us in the Thredbo Interclub. Helps encourage our Junior Skiers. Recovered from surgery to fix heart defect. Theo was the Juniors most outstanding racer last year and now nineteen years old has advanced to the SASC adult ranks. Theo’s family joined SASC in 2015. Theo is a FIS Alpine racer trying to make his way up the skiing ranks and is trying to meet benchmarks set by Ski & Snowboard Australia to maintain his position in the Australian National Alpine Development team. Theo’s overseas program includes training and competition in China, then after Christmas will be in Europe competing at regional FIS races and National Championships. Theo is looking to study Engineering at Wollongong University when he returns from Northern Hemisphere program at the end of February. SASC provides cash support to adult members competing in Snowsports at an elite level to ease the financial burden for their training and competition and to provide moral support. Applications for sponsorship are considered each year at the September Club meeting. Further information is available from the Club Secretary. Member's children (under 19 years) are eligible for “Junior” elite snowsports athlete sponsorship please contact the Juniors Secretary for details.